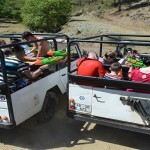 Marmaris Jeep Safari Tour , Do you have enough fun in Marmaris? If no, so we can offer you the best adventure of your life! 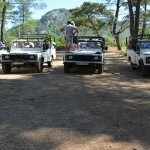 We want to invite you to visit very cute Jeep Safari of Marmaris. 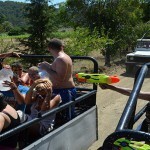 Our Jeeps have a military design, they are severe and ready to use their full speed. 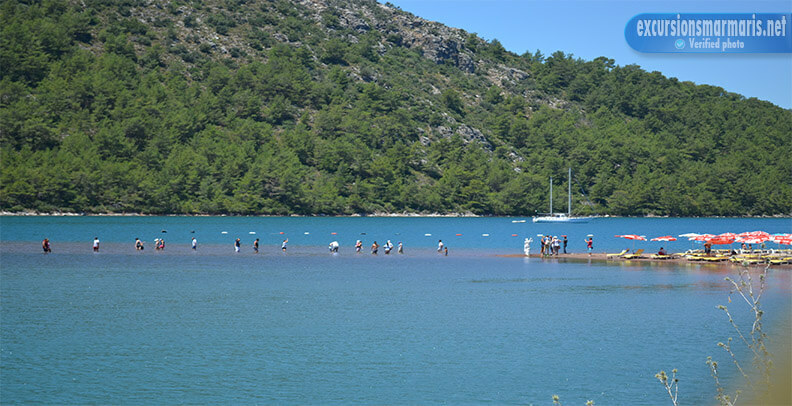 Your blood will be full of adrenalin while riding in the countryside, exploring splendid Peninsula of Bozburun and the Marmaris National Park. 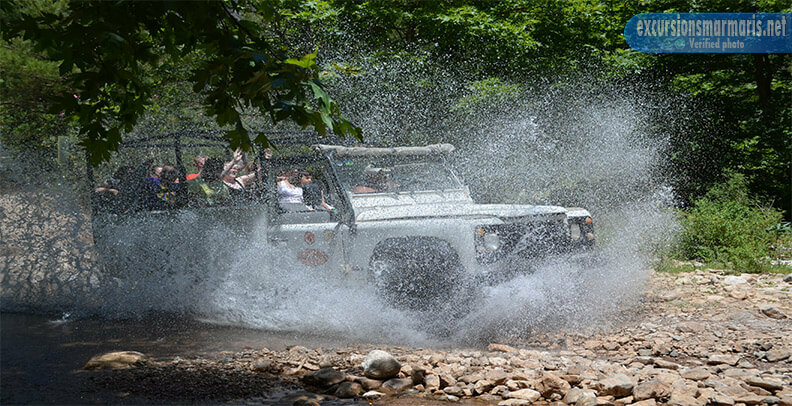 If you want to feel the strenght of wind, the power of speed and indescribable emotions, so your choice is Jeep Safari of Marmaris! It will take you just one day, but you will get unforgettable emotions for the next one hundred days! We have special tracks for our Safari. They are far away from the city traffic. 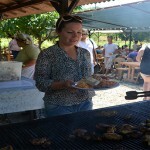 The route goes through tiny but very picturesque villages, green forests. 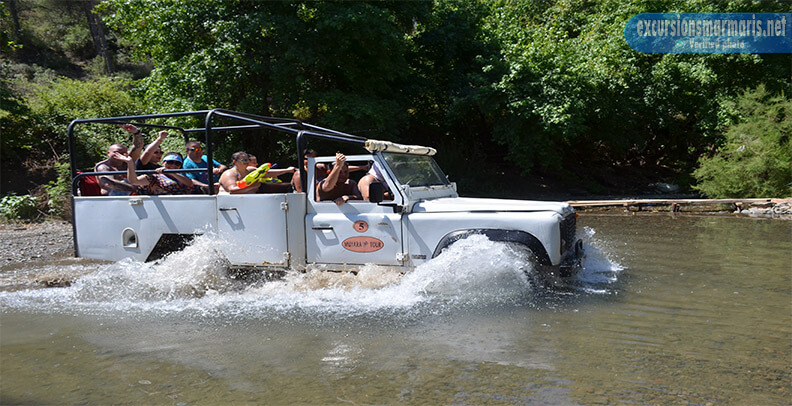 The Safari gives you an excellent opportunity to observe a lot of natural wonders of Turkey. As we worry about the safety of our clients, we try to do our best to provide them with comfortable and safe driving. 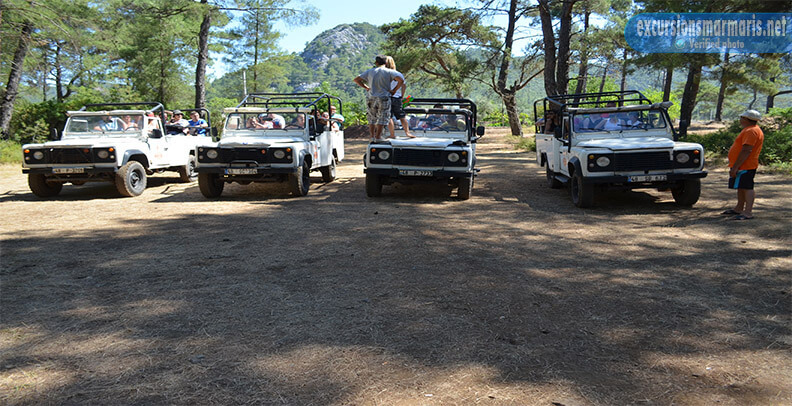 If you want to participate in Marmaris Jeep Safari, so be ready to spend the most exciting 7 hours of your life in this excursion. 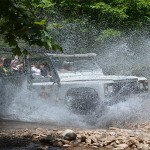 The Safari can be started either from the town of Armutalan or from the city of Marmaris. 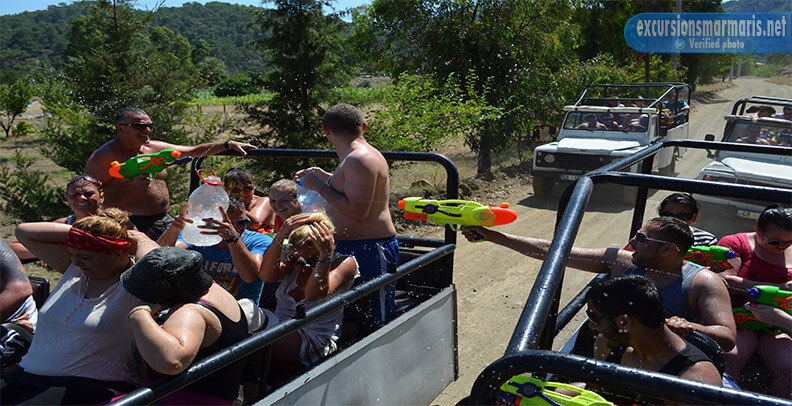 The Safari lasts every day from April till October. 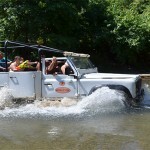 The whole Safari program includes a professional guide, insurance, food and other necessary services. Don’t worry, we will pick you up from your hotel at 9.30, at about 17.00 we’ll give you a lift to your hotel. The only thing that you need to take is your sunscreen. We don’t want you to feel uncomfortable. You will have a break while swimming in the waters of an amazing waterfall. 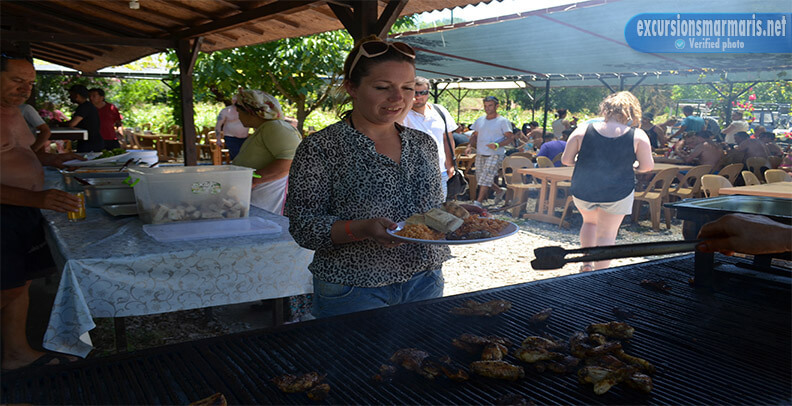 Also you will get a great opportunity to chat with the local people in a village of Turgut, they will tell you a lot of interesting things about their life in the village and then you will be taken to the authentic Turkish restaurant. 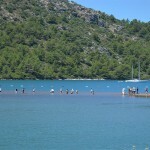 The Safari gives you a unique chance to find out a lot about Marmaris and its outskirts. 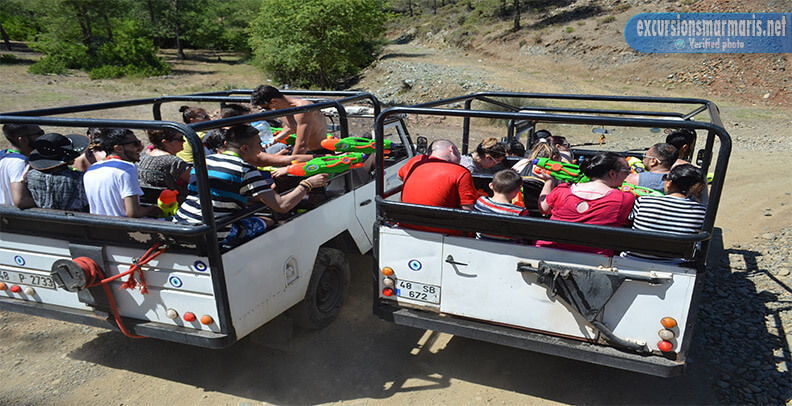 Don’t be afraid to take your children with you, as they will enjoy Marmaris Jeep Safari as well. 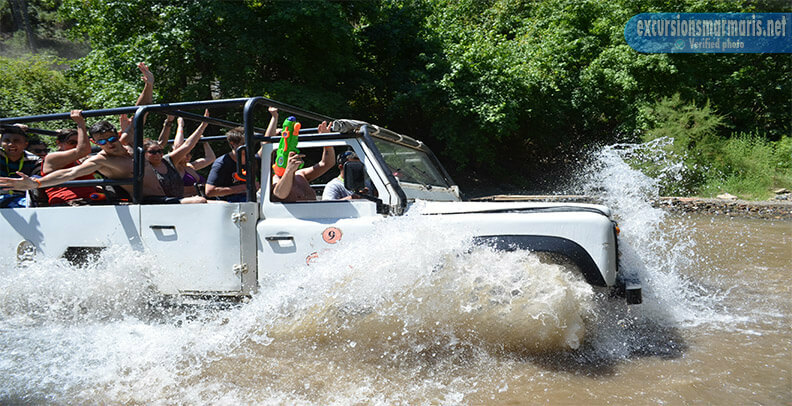 Crowning it all, try not to miss the Safari and you will get 100 percent satisfaction.